Once upon a time, there was a girl about 12 years of age. She had an obsession with flamingos. And when I say obsession, I mean it. 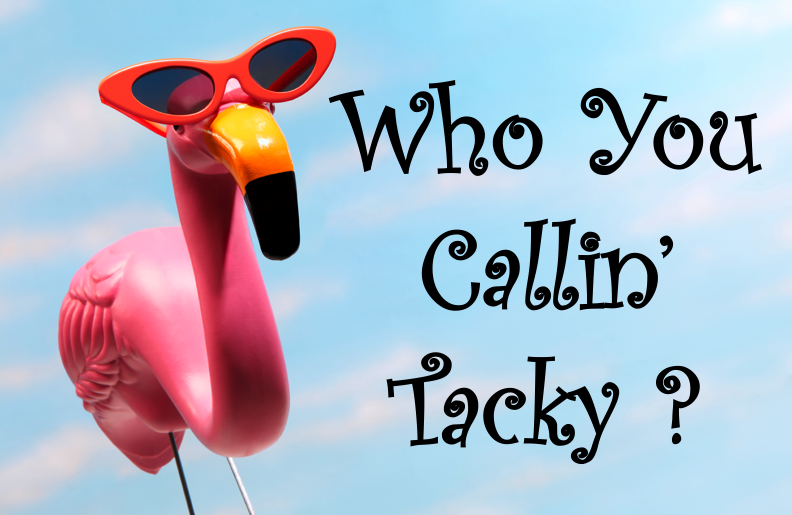 She loved anything (tacky or not…mostly tacky) that had flamingos on it. It was her thing. And people knew it. After almost 10 years of loving flamingos like she did, this little girl (now a much older young lady) went through some difficult life changes and all of a sudden, she didn’t know who she was anymore. She had an early life crisis, if you will. Flamingos now reminded her of that rough time in her life and she just stopped liking them. It was very sad. After many, many years of trying to find herself, the young lady had an epiphany. She realized that she could love whatever she wanted and it didn’t have to remind her of a yucky place in her life…she could just re-associate her love for flamingos to where she was now and to the good memories she had in the past. It was a big step. It wasn’t just about the flamingos. It was about self-acceptance. Finding that she liked who she was becoming, and also letting herself grow, letting go of some of her dark places, learning that she loved finding out more about herself, that it made her more complete. That little girl turned young lady is me (I’m not terribly young anymore, mind you). I am very happy to say that I’ve been back in the flamingo game for a few years now (maybe not to THAT extent that I was, but I am more than okay with enjoying them again). It truly makes me feel more whole when I discover something about myself, that I maybe didn’t previously know or that I somehow suppressed on my journey and have re-discovered. God has helped put me back on the track to being myself and I am so grateful. So. Today is Bird Day in Bigs’ class at school. Although I have several different bird cookie cutters, it just seemed fitting to me to use my beloved flamingo. I’m not even sure why I ever got into them. Maybe because they are pink (post shrimp buffet)? Because they are weird and stand on one leg? I really don’t know. But they are neat. And they are absolutely a sign of self-acceptance and self-love to me, in some weird (I’m weird, what can I say!) way. 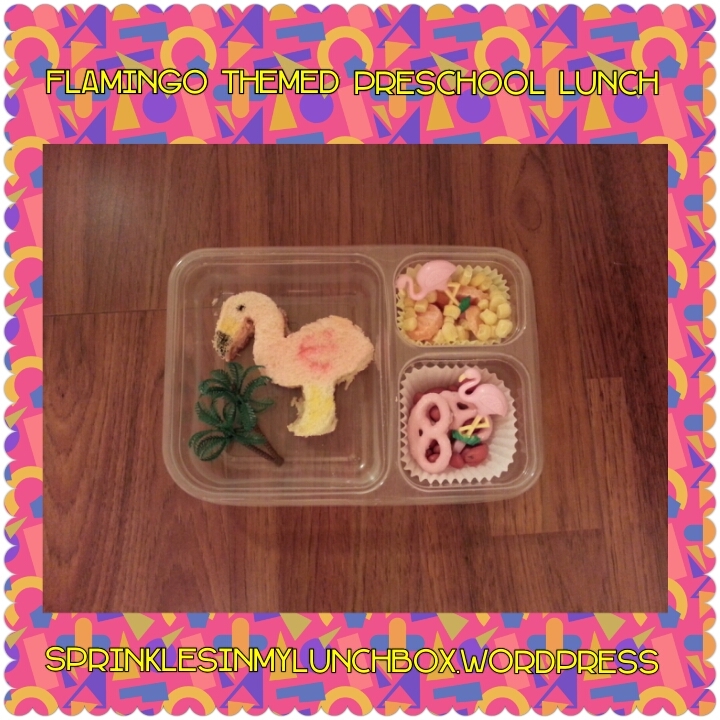 So, I made a flamingo themed lunch for my Bigs today. And I made it as tacky as I could. 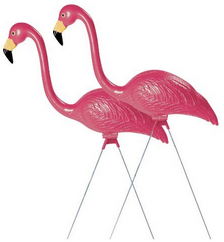 It’s the only way, really, when dealing with flamingos. I made a flamingo-shaped crunchy PB&J. I also put in corn and carrots, some pink (strawberry, I think?) yogurt pretzels and some cherry yogurt raisins. I used some of my flamingo cupcake picks and a palm tree, just to tacky it up a little more. I think Bigs will get a hoot out of this. I sure did. Have a self-accepting day, my friends!